Will that netwire have the same effect on those black vultures? Bright Raven wrote: Will that netwire have the same effect on those black vultures? skeeter swatter wrote: Need more cougars. I don't think that's a very good idea..... pretty silly one really. Just a low joke that went over your head. CG8 how was your trip? Thos Handi-rifles are just that, handy. What caliber? 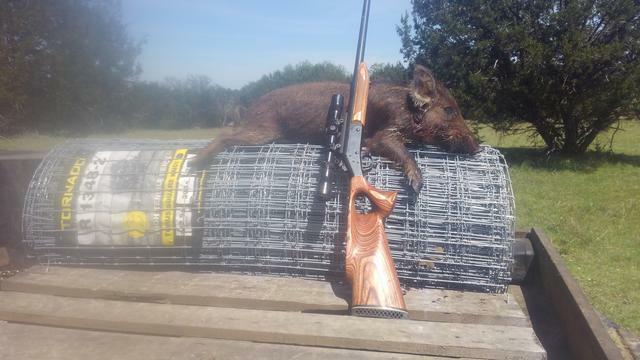 I had one in .223. Atimm693 wrote: Thos Handi-rifles are just that, handy. What caliber? its 223 the guy that does my hay thinks hes a gunsmith he made me two. I let my dad have pick. he picked the one with the fluted barrel. its the first one ive owned. ive been enjoying it. the 20 inch barrel is handy in the truck. its a shooter to. I'm gonna see if they make one in 22-250. next time he screws something up. which he will. ..smoking cowboy.